The man allegedly traveled to the island to spread Christianity. An American man has been killed by a remote tribe after taking an illegal trip to one of the Andaman Islands in India. John Chau, 27, was killed on North Sentinel Island, South Andaman Senior Superintendent of Police Vijay Singh told ABC News. The island is home to the indigenous Sentinelese people. The seven fishermen who escorted Chau to the island, which is illegal to visit, have all been arrested, Singh said. It appears that Chau reached the island with the help of "local friend" and electronics engineer named Alexander, a local water sports guide named Saw Remmis and five fishermen, Dependra Pathak, director of India’s Andaman & Nicobar Police, said in a statement. The men "actively facilitated" and accompanied him to the North Sentinel Island under the guise of a fishing activity to evade authorities, Pathak said. "Despite knowing fully well about the illegality of the action and the hostile attitude of the Sentinelese tribesmen to the outsiders, these people collaborated with John Chau for this visit to North Sentinel Island without any permission from the authorities," Pathak said. Chau paid the local fishermen 25,000 Indian rupees, about $350, to accompany him on the journey, Pathak said. He arrived to the Port Blair, Andaman and Nicobar Islands on Oct. 16 but had been to the islands a few times before, Pathak said. The group set off for the forbidden islands around 8 p.m. on Nov. 14, Pathak said. The next morning, Chau headed toward the shore on kayak, which had been towed by the fishing boat, and the group planned to meet later between the shoreline and their high sea fishing area, Pathak added. On Saturday, the fishermen saw a dead body being buried at the shore, and they determined that it was likely Chau based on the "silhouette of the body, clothing and circumstances," Pathak said. The fishermen then returned the Port Blair on the South Andaman Island and informed the electronics engineer Alexander of what transpired. Alexander passed on the information to another friend, who then informed Chau's parents, Pathak said. Police have not yet located Chau's body and "a murder case has been registered," Singh said. "We don’t know much about him. But he was kind of a missionary preaching Christianity," Singh said. The U.S. Consulate in Chennai, India, said it was "aware of reports" about the case. "We are aware of reports concerning a U.S. citizen in the Andaman and Nicobar Islands. The welfare and safety of U.S. citizens abroad is one of the highest priorities of the U.S. Department of State," a consulate spokesperson told ABC News. "When a U.S. citizen is missing, we work closely with local authorities as they carry out their search efforts. Due to privacy considerations, we have no further comment." (Indian Coast Guard/Reuters, FILE) In this file photo a Sentinel tribal man aims with his bow and arrow at an Indian Coast Guard helicopter as it flies over the island for a survey of the damage caused by the tsunami in India's Andaman and Nicobar archipelago, Dec. 28, 2004. The Sentinelese people are a hunter-gatherer tribe who have historically lived on the island in the Bay of Bengal, but other than that very little is known about them, according to Sophie Grig, a senior researcher at Survival International, an indigenous peoples' charity. "They are the most isolated tribe in the world," Grig told ABC News. "They live on a completely isolated island and they have always historically fired arrows at anybody who has tried to land on the island or get near them." Pathak described the indigenous people as having "vigorous rejection toward outsiders" and said the land in which they live on is a "highly restricted area." 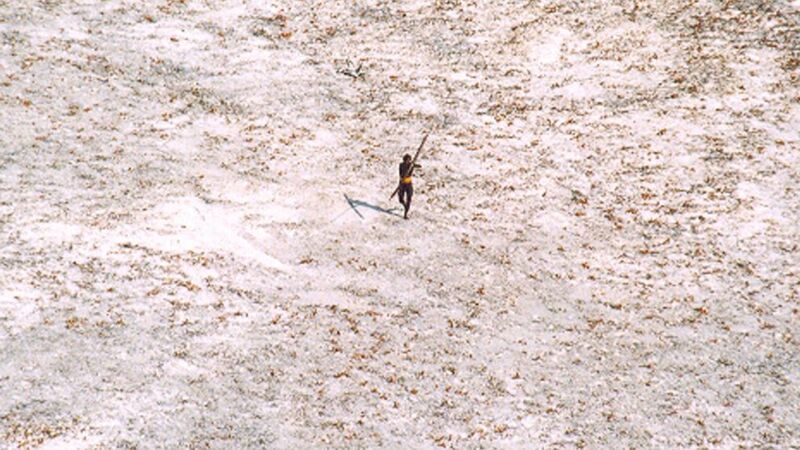 Because of their isolation, Survival International has warned that the Sentinelese people are extremely vulnerable to disease from outsiders, and it is illegal to travel to North Sentinel or attempt to make contact with the islanders. Chau traveled to the remote island to spread Christianity, Mat Staver, founder of Covenant Journey, a religious group Chau once traveled to Israel with, said in a statement. Chau brought gifts for members of the indigenous tribe and carried his Bible with him on the island in an effort to "befriend the Sentinelese to share Jesus with them," Staver said. "He was willing to give his life to share Jesus with the people on North Sentinel island,” Staver said. "Ever since high school, John wanted to go to North Sentinel to share Jesus with this indigenous people." Chau was a "beloved son, brother, uncle and best friend," his family wrote in a statement on his Instagam account, adding that they "forgive those responsible for his death." "To others he was a Christian missionary, a wilderness EMT, an International soccer coach, and a mountaineer," the statement read. "He loved God, helping those in need, and had nothing but love for the Sentinelese people." Chau attended Christian liberal arts school Oral Roberts University in Tulsa, Oklahoma, where he received a degree in sports medicine, and had expressed a desire to obtain a medical degree at Loma Linda University in Southern California, Staver said. In a statement, Chau's alma mater said it was "not surprised" that he tried to reach the isolated tribe. "Oral Roberts University alumni have gone to the uttermost bounds of the earth for the last 50 years bringing hope and healing to millions," said Oral Roberts University President Dr. William M. Wilson. "We are not surprised that John would try to reach out to these isolated people in order to share God’s love. We are deeply saddened to hear of his death." In a similar incident, two Indian fishermen were killed in 2006 after landing on the North Sentinel island. In that case, no attempts were made to collect them, according to Grig. "It is completely impractical to be able to charge them with murder," said Grig. "They have absolutely no idea that the Indian state exists, let alone what the laws are."